Anyone have a good tutorial on Momopodding? I've looked I can not find much. Specifically using a free floated fore-end, where to put the support hand (with some pictures). How long a monopod are you using? I've been playing around with a shooting stick that's about 60" tall. 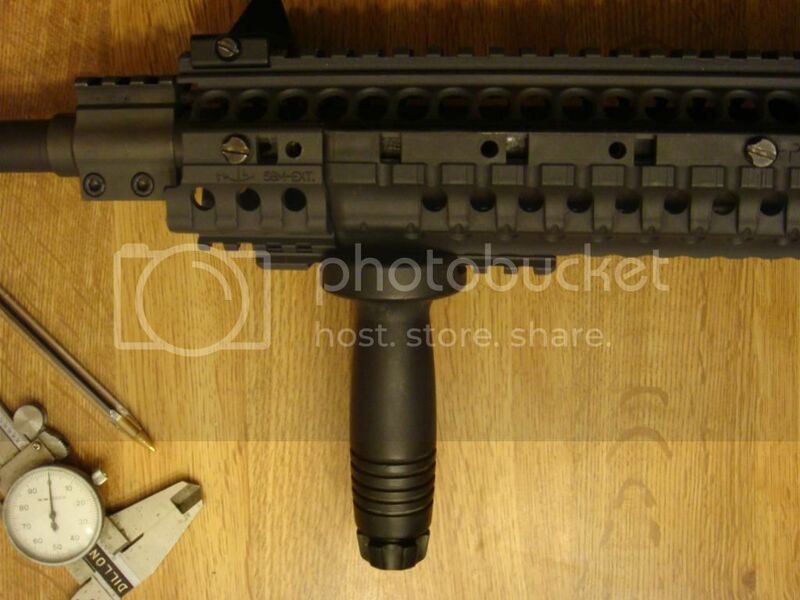 I have a sling stud on the bottom of my free float handguard about 8" behind the muzzle on an 18" carbine. I place the "V" on the stick against the back side of the stud and wrap my hand around the handguard with my thumb around the bottom of the handguard. The thumb also exerts a little pressure on the stick and holds it in place. I'm working at getting good hits at 200 yards faster than going prone for the same shots. Since I shoot open, I think it will be legal for competition. Have not tried it in a match though. I presume you are referring to monopodding off the magazine? This is easy - just rest the mag on the ground (or whatever other firm surface you are resting on), allowing the weight of the rifle to be born entirely by the mag, and then put your support hand wherever is most comfortable for shooting AND transitioning across the array of targets with BOTH your elbows down on the ground. There will only be one place for your elbows... wherever they naturally fall is where they should be, and this will likely vary somewhat depending on the specifics of the position and the length of your magazine. I find a 40-43 round double-column magazine or a 60-round Surefire works best for me, but the 30s can be workable if a tad short... forget it with 20s unless the shooting position is very uneven. Bear in mind that one or two unenlightened matches consider monopodding off cinched mags to be equivalent to a bipod ( ) and will bump you to Open, but this is really in the minority. If you want to see examples, watch any of the many many YouTube match videos to see how the top guys do it. Thanks. Yes, I meant monopolizing of the mag. I will look for some videos, can you suggest one? That's all there is to it. Nothing special other than finding the correct height mags for you.